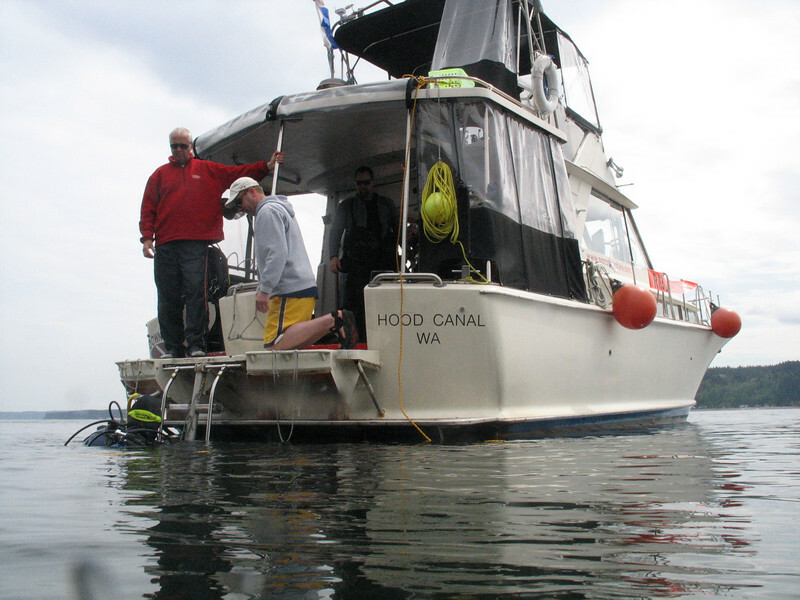 Volunteers participate in these dives to gather data for the Hood Canal Dissolved Oxygen Program. Divers measure species found in various depth zones and visually check stress in the critters found. April 2007 - Don and Mark help Claude up after the dive.